Full sets of photographs of these events, where available, can be found on the Downing College Flickr page - click here. Held in the church of St Stephen with St John in Rochester Row, the inaugural Downing College Carol Service was a great success. Following the format of a Festival of Nine Lessons and Carols, the Chapel Choir sand and alumni and staff read the lessons. This year, our London Reception was held in the Foundling Museum, Brunswick Square, with its fascinating and poignant reminders of the Foundling Hospital, the UK's first children's charity. Over 120 alumni attended and the Alumni Association has since reported record sales! Wine tastings, a silver display, evensong, a lecture on smart drugs and a tour of works on First Court and Parker's House all added to the afternoon's entertainment at this year's Alumni Day. Dinner followed, as ever, in Hall, attended by alumni of 1944–2013 vintages, together with their guests. The 1749 Society Garden Party - a thank-you to those who have told us that they have left a legacy to Downing College in their wills - took place in glorious sunshine on Saturday! To learn more about the 1749 Society, please see here. For a full set of photographs of the event, please click here to see our Flickr album of the day. A series of films - entitled Novel Thoughts - that reveal the reading habits of eight Cambridge scientists relates in its final edition how Hubert Selby's Requiem for a Dream inspired the pursuit of treatments for addiction by Downing's Dr Amy Milton, Ferreras-Willetts Fellow in Neuroscience. See the film on the Cambridge University website, here. Congratulations to all the Downing College 2015 graduands! More photographs here! Graduating students, with their families and friends, were invited to the Graduands Reception - this year held in a marquee in the Fellows' Garden - on the evening before General Admission. In all, about 350 people attended, enjoying the evening sunshine and an occasional glass of celebratory bubbly! More photographs here. It’s the Alumni Festival’s silver anniversary in September – join in to celebrate 25 years of rediscovering what makes Cambridge remarkable, and to discover what’s coming next. More information can be found online here. To register for Festival news, email events@alumni.cam.ac.uk or call on +44 (0) 1223 332288. Festival dates 25 — 27 September. The annual Segreants' Club Dinner was held in Hall on Saturday 25 April, when the College welcomed back over 50 alumni. The festivities were preceded by the Head of the Cam race, in which Downing entered two single sculls and five alumni VIIIs - three women's and two men's, including a 1985 Henley reunion crew and a women's reunion crew from the 1980s and 1990s. The result was a quadruple win! Follow DCBC on its Facebook page, here. details of our work with schools and the visits and events we can offer for students and teachers in the South West, with online booking forms." Downing welcomed back alumni who had matriculated in years ending with '5' to a sell-out black-tie dinner in Hall. Those arriving early were also invited to tour the Parker's House and First Court development. Mr Carl Jackson, Director of Music of the Chapel Royal, Hampton Court, and former Downing Organ Scholar, will be performing a recital on Downing's new organ at 18:00 in the Chapel. All are welcome. 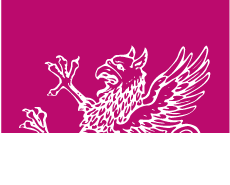 The deadline for entries to this year’s Downing Enterprise Competition is noon on Saturday 10 January 2015. For more information go to the Downing Enterprise website. 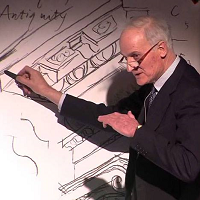 Quinlan Terry has been recognised in the New Year’s Honours list with the award of Commander of the Order of the British Empire (CBE) for services to classical architecture. He designed four buildings at Downing College: the Howard Building, Howard Court, the Howard Theatre and the Maitland Robinson Library. He works on all projects in partnership with his son, Francis Terry, who is a Downing alumnus (1988, Architecture). Quinlan and Francis Terry Architects LLP specialises in new-build classical architecture. The firm has considerable experience of a variety of projects, both in the UK and overseas, and its designs are detailed by a small group of draftsmen, most of whom have been with the practice ever since their apprenticeship.